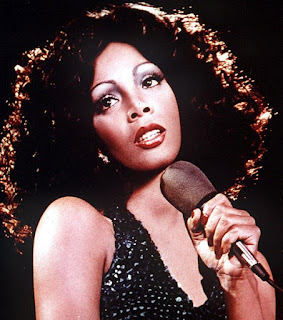 This week Donna Summer passed away - one of the most iconic voices of the 1970s - at the age of 63, from cancer. Titled 'The Queen of Love' for her seductive disco hits, Summer won five grammy awards and is said to have started her own genre, a mix of gospel vocals and European dance. Top hits include 'I Feel Love', the 17-minute 'Love To Love You Baby' and 'Hot Stuff'. In an era of dance-floor tracks, Summer stood out with her emotional delivery, songs of resilience and sensuous performances. Singers from all around the world have expressed their tribute, with Elton John insisting Summer should have a place on the walk of fame and Barbra Streisand claiming she had an amazing voice and talent. With the 2012 Billboard Awards held on this Sunday, it will be interesting to see what sort of tributes arise. Some have acknowledged the close timing of recent singer's deaths - including Whitney Houston's to the VMAs this year and Michael Jackson to the Grammy Awards 2009.